MEMBERS OF CONGRESS DEMAND AN END TO MARIJUANA POSSESSION ARRESTS IN U.S.A. Editors Note: We agree one thousand percent with Barney Frank. We had lunch with this great Congressman a while back at Langans in New York City, and this guy really has his heart and mind in the right place. Billions of taxpayer dollars are spent each year to arrest people for just smoking a joint of good weed. I have known people over the years who got sentenced to jail for carrying a very small amount. I know people who need it for medical use and they are breaking the law every time they use it to relieve medication side effects. People with Aids and Cancer need to smoke Marijuana. I know people with Aids that had wasting syndrome and could not eat and the only way they got a appetite was to smoke a joint. They would be dead if is was not for Marijuana. And don't let the critics tell you that the drug companies make Marinol and it's the same as smoking a joint. It is not. The drug companies charge you $563.00 for a 30 day supply when you could just buy a bag of weed for $40.00 that will last the month and does the job. The drug companies have spent untold amounts of money to keep Marijuana illegal, so they can charge you outrageous prices. I urge everyone to write their Congressman and Senators. 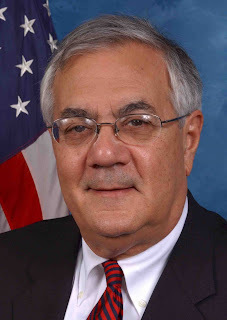 Support Barney Frank, he's one of Americas gems. Visit NORML's website and see how you can help to make Marijuana legal ! i too agree 1000%. americas war on drugs is really just a war on weed..tjhe cops seem to be afraid of the crackheads and heroin addicts.. its all about weed....sad but true..
IMO: Big business is worried the home grown varieties might cut into their profits. Until they can get this figured out, we will not see reform on hemp. I have known others who have required the weed for appetite stimulation as well as pain control. With our courts bogged down with bigger issues and our jails full of same, this needs to be tossed off the books ASAP.